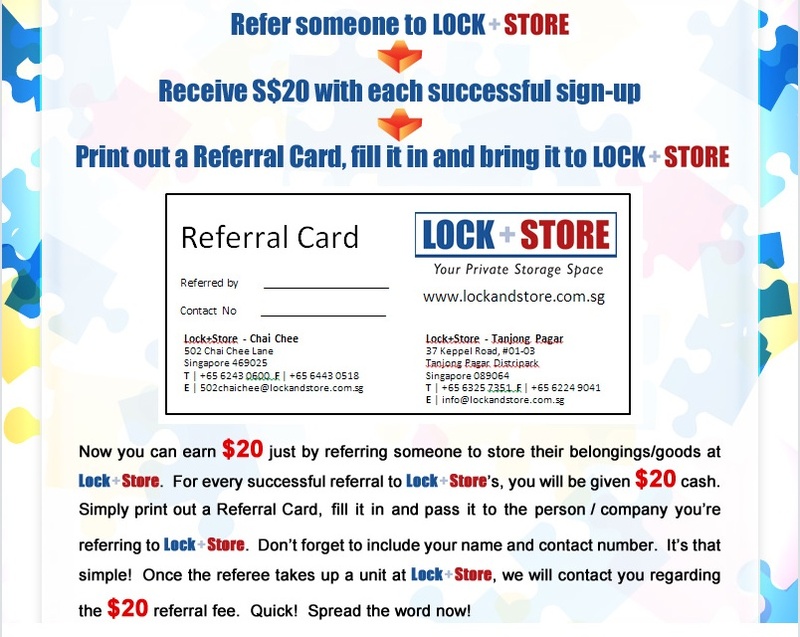 Now you can earn $20 for just referring someone to store their belongings/goods at Lock+Store. 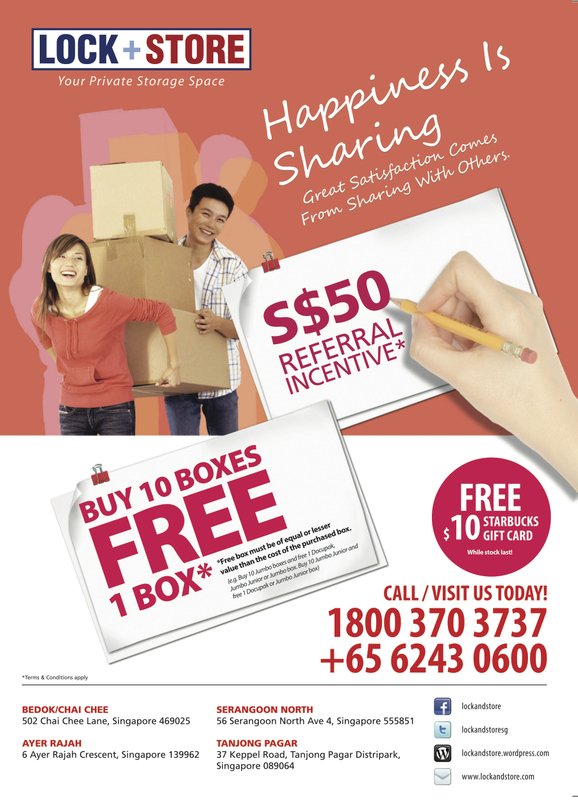 For every successful referral to Lock+Store’s Chai Chee or Tanjong Pagar facility, you will be given $20 cash. Simply print out the slip below and pass it to the person/company you’re referring to Lock+Store. Don’t forget to include your name and contact number. It’s that simple! Once the referee takes up a unit at Lock+Store, we will contact you regarding the $20 referral fee. Quick! Spread the word now!